Plot synopsis: A verse-play set in Mexico telling the story of a young woman who must haggle with an elderly weaver over the purchase of a high-quality serape. Review: The story behind this episode is, unfortunately, more interesting than the episode itself. The script was chosen as the winning entry in a competition jointly organized by the Academy of American Poets and CBS Radio to find a verse-play to be performed on radio. Such encouragements to new writers are always to be applauded and yet ... I simply did not care very much for the results. The play appears to want to use its seemingly mundane set-up to say something profound, but about what precisely I struggled to work out - materialism? spirituality? craftsmanship? ageing? the differences between generations? Perhaps I did not pay sufficient attention, but I found listening to this episode more of a chore than a pleasure, with the dialogue feeling overly stylized and there being a strong sense of the writer straining too hard for effect. Plot synopsis: A police officer recounts the 'mystery' of a white kitten's disappearance into a tape recorder. Review: A parody of the over-seriousness of the many detective series of the day, this is quite an odd episode. Instead of investigating a brutal murder or an underworld criminal network, the police officer in this story investigates a case of ... a missing kitten. Yes, it really is that daft. Unfortunately, the episode doesn't really work as a satire, or as a story in its own right: it's not sharp or funny enough to be effectively satirical, and it's difficult to care overmuch about who does or doesn't end up in possession of the titular feline. 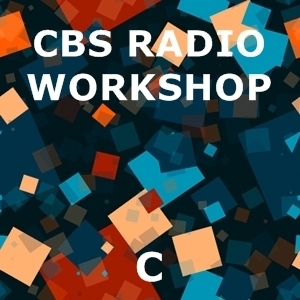 Still, it does highlight once again the CBS Radio Workshop's seeming obsession with the then-new technology of tape recorders (one such machine features heavily), as they are prominent in quite a number of the series' episodes - see also, for example, I Have Three Heads. Plot synopsis: William Shakespeare and an array of his contemporaries are interviewed to determine who truly authored 'Shakespeare's' plays. Review: William Shakespeare wrote the plays attributed to William Shakespeare. This is all that really needs to be said in response to the 'theories' that someone else actually wrote them. Yet despite the fact that any evidence to the contrary is extremely flimsy, the belief that Shakespeare did not write 'Shakespeare's' plays has remained remarkably resilient down the centuries. This episode seeks to investigate the contention by imagining a series of interviews with Shakespeare himself and some of the other main claimants to the plays' authorship, including Christopher Marlowe and Francis Bacon. It's a fun approach, even if it doesn't really lead anywhere; inevitably, since there isn't any solid basis for doubting that Shakespeare wrote the plays that bear his name. Still, all the standard arguments are examined - such as that Shakespeare wasn't educated enough to write such great works - so there's plenty here to satisfy (misguided) sceptics. The presenter who conducts the interviews, Dr. Frank Baxter, was a well-known Shakespeare expert at the time and also presented a TV show about the Bard, so lends proceedings a degree of credibility. At any rate, even if there isn't much true value in exploring the authorship of Shakespeare's plays - not to mention that, ultimately, it does not even really matter who wrote them, since 'the play's the thing' - as I have noted in another review (of Another Point of View), what is amazing from today's perspective is that a mainstream radio show would deal with such a 'highbrow' topic. Plot synopsis: Three commentators - the first British, the second French and the third American - discuss the meaning of love. Review: As with CBS Radio Workshop's first colloquy (see above), this one is again moderated by Dr. Frank Baxter. However, whereas the first was a (relatively) serious examination of the controversy over the true authorship of Shakespeare's plays, this one is more straightforwardly comedic. The three commentators featured are all ridiculous caricatures - a pompous Brit, a romantic Frenchman, and a down-to-earth American - played by actors, rather than being real people. Each gives an account of what he believes to be the meaning of love, among which I particularly enjoyed the British stiff-upper-lip version presented by 'Sir Eustace Ponsonby', who offers as his ideal a completely unemotional, passionless relationship. As a satire of national stereotypes the episode therefore works very well, though since none of it is to be taken seriously, anyone looking for a sincere answer to the question of love's meaning will have to look elsewhere. Plot synopsis: Real-life former detectives solve a fictional crime. Review: I wavered over the rating for this episode as there is a definite gap between the quality of the underlying idea and that of the execution. The basic idea - mixing retired detectives with actors in a partly scripted, partly improvised crime drama - is undoubtedly strong. In fact, I could see it providing the basis for a very interesting TV series, which could offer an original spin on a genre that has been through pretty much every other possible permutation on screen. Unfortunately, though, in the episode itself the originality of the idea is not matched by the originality of the actual case the detectives are given to solve. Disappointingly, it's a very ordinary, not very compelling case of a robbery gone wrong that leads to a man being shot. Even so, there are flashes of the potential inherent in the episode's conceit as it offers some revealing insights into real-life policing methods (of the 1950s, at least). Of course, one may assume that the detectives featured are on their best behaviour, as there's no swearing, and only very limited browbeating of suspects - and absolutely no literal beating! - so it probably shouldn't be taken as a completely faithful representation of how the police of the era operated. Yet the way they solve the case is fascinating nonetheless. Anyway, my four-star rating is essentially for the idea, which remains a clever one.